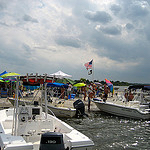 It’s time to come out and celebrate another Anniversary Weekend with the Emerald Isle Parrot Head Club. Plans for our Parrot Head Club Anniversary Weekend have been in the works for a while and we are all looking forward to a weekend full of PHUN and PHRIENDS. The celebration begins as always with our First Friday PHlocking on Friday (Aug. 4th). Matt and the E-Club will be hosting and our favorite PH Chef, Jack Synan will be cooking a pig. There will be great drink specials and some free swag too! The new expanded patio area is open and there will be some fantastic music on the new outdoor stage. Join us on Friday night from 7-9pm. 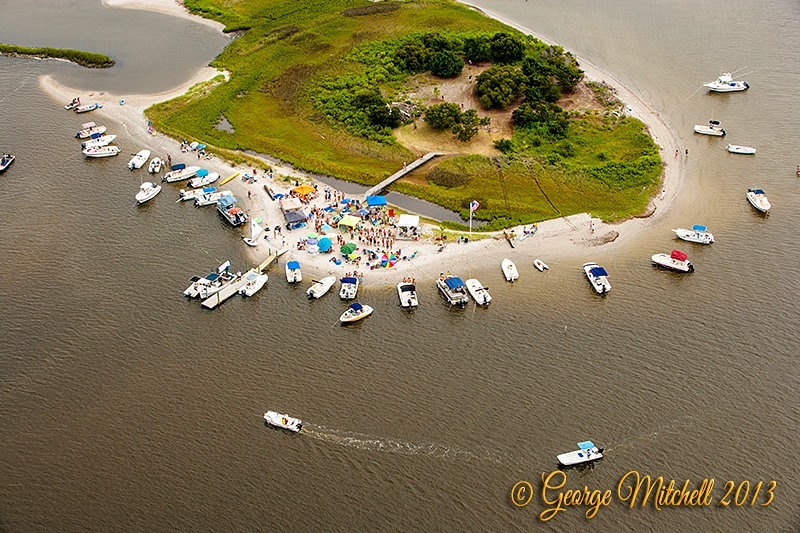 Our Anniversary Island Party (August 6th) is out on Pelican Island. Parrot Heads and friends will arrive by boat, kayak, canoe, or other(?) for a fun day in the sun and water with games, grllin’ & chillin’, and music by Dicky Scearce & Jack Ketner. We need lots of help for the planning and we will have sign up sheets at the PHlocking. We need a few big birds to be in charge so please help by letting me know before the PHlocking if you can coordinate. Email Sue Stone at stonesend@gmail.com. Sign up sheets will be at the PHlocking. There will be a few specific emails to keep you all up to date on where and when to catch a ride if you need one. Just so you know, this is the Annual event where we “fun raise”. No money involved, This party is just a way to thank our members for doing such good things all year. EIPHC provides hamburgers, hotdogs, rolls and condiments. There will be a few games, a swimming spot, music and all y’all provide is the fun, a dish to share and chairs, umbrellas, sunglasses and sun screen. No dogs allowed (due to food stealing, spilled drinks and general mayhem). We need volunteers to purchase the food, provide boat transportation to those that have no water vehicles, plan the games, clean up the island before and after, cook some food etc. Everyone can help. Everyone is invited and you can bring guests but it is not a public event. It’s going to be a GREAT weekend!! Come out and celebrate the EIPHC!! REGISTRATION CLOSES ON SEPTEMBER 15th FOR MEETING OF THE MINDS 2017 OR WHEN WE SELL OUT!! ARE YOU REGISTERED? HAVE YOU MADE YOUR TRAVEL PLANS? DON’T GET LEFT OUT! Concert season is in full swing and the HEAT is on! Can you believe we are halfway through the warm season? Don’t forget to extend your Summer 2017 by coming to Key West in November! There are many things in motion to make this year a special one in so many ways. Ourawesome volunteer teams are working hard every day to make your MOTM one of the best ever! All we need is YOU! The clock is ticking! This just in….It looks like the new EIPHC T-Shirts will be available for purchase at tomorrow’s Phlocking. This will be the “official unveiling” of the new logo design. T-Shirts will be $15.00 and you will not be disappointed. The new design is AWESOME!! Be sure to stop by the membership table tomorrow night to purchase your very own EIPHC T-Shirt and proudly represent this great club.